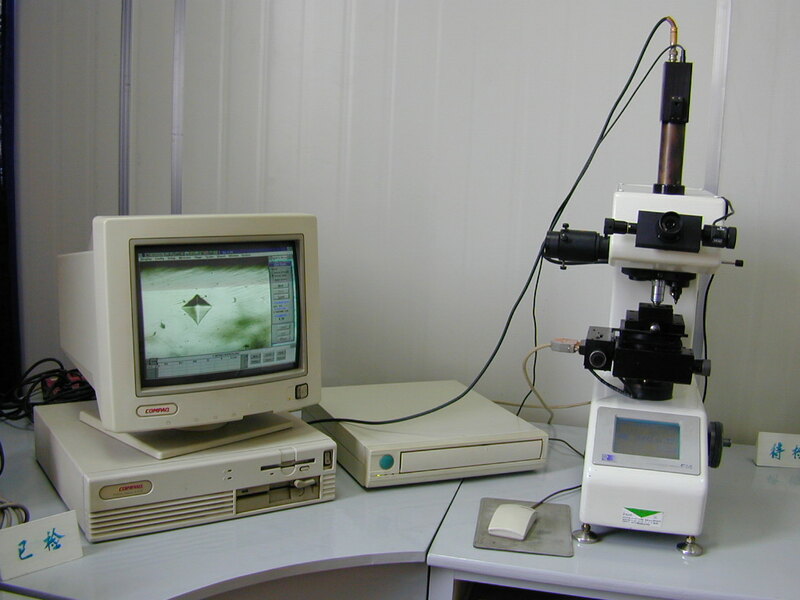 Unique light source mechanism: Newly developed functions for Microhardness tester the replacement of Numerical aperture &Field aperture, provide a clear visual field both in high and low magnifications. New turret mechanism: Max. 3 pieces of object lenses can be equipped on the turret at one time, which is just like a Microscope, gives the operator capability to observe the various surface conditions of specimens. Auto-turret: By pressing the start switch, an automatic turret device will perform a series of loading operations. The object lens for measuring comes automatically back to the central position after making indentation. Advanced touch panel display: All data, measuring conditions and operation procedures are clearly displayed on the LCD touch panel.